It’s a fairly common question: Why are my gums bleeding? 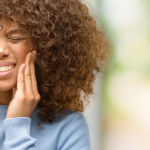 Although bleeding gums can indicate the beginning stages of periodontal disease, it isn’t always an indication of a harsh or lasting condition. Sometimes when the gums bleed, it’s simply a symptom and you may just need to tweak your oral hygiene routine (brushing and flossing). In other cases, the reason for bleeding gums may have to do with a different health ailment or as a result of taking certain medications. 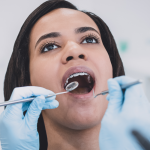 At Penn Dental Medicine, our students and PDM faculty are committed to helping you figure out why your gums are bleeding and what you can do to address the problem. Gingivitis refers to the early stages of gum disease, which later progresses into periodontal disease. Bleeding gums accompanied by swelling, and even bone and/or tooth loss are signs you may have or be developing periodontitis. Some women experience temporary gingivitis during pregnancy. 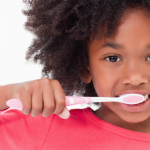 The gums may become inflamed particularly when brushing and flossing. It’s important to be gentle when performing oral hygiene tasks, and be sure to ask your student dentist for additional pregnancy dental health suggestions. Certain medications such as blood thinners and calcium channel blocking prescriptions can cause bleeding of the gums. When people think about “oral hygiene issues,” they may immediately jump to poor oral hygiene as the reason for bleeding gums. And, while this does lead to gingivitis, positive attempts at oral hygiene can lead to bleeding gums too. 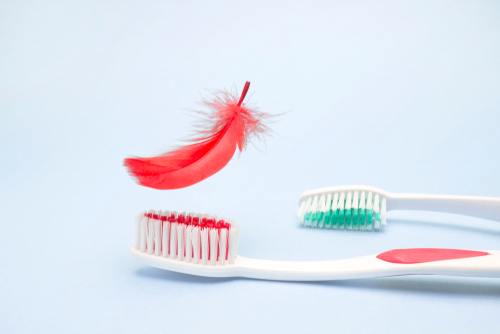 Brushing or flossing too vigorously, or with a hard-bristled toothbrush can cause the gums to bleed. Certain health conditions such as HIV, diabetes, lupus, and other types of blood disorders have been known to cause the gums to bleed. Stress, lack of sleep, vitamin deficiencies, and hormonal imbalances have also been linked to bleeding gums. What Can You Do to Have Have Healthier Gums? Brush your teeth with a soft-bristled electric or manual toothbrush twice a day. Use an interdental cleaning tool such as floss or a floss-stick/floss-brush to remove debris between the teeth. Seek a consultation with your PDM doctor to evaluate your teeth and gums. Schedule routine cleanings and checkups every six months for optimum oral hygiene health. Identifying the cause of bleeding gums is challenging and it’s always best to seek the guidance of a professional dentist. 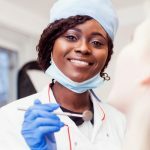 At Penn Dental Medicine, our patients receive the benefits of highly-trained experts who are educated on the most innovative dental approaches and technology. If you’d like to schedule a consultation with one of our Penn Dental Medicine periodontic specialists, please get started by clicking here, or feel free to call us directly at 215-898-7337.